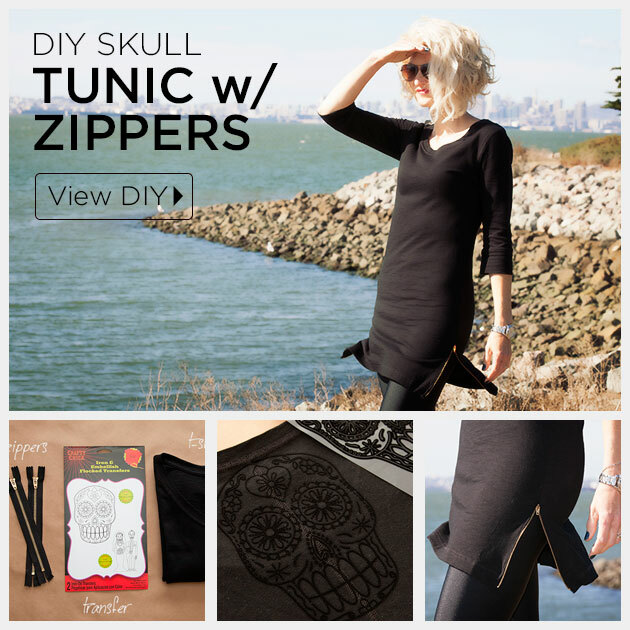 It’s all about the details, turn a t-shirt dress into a cool fashion forward DIY Skull Tunic with Zippers with this simple t-shirt hack. 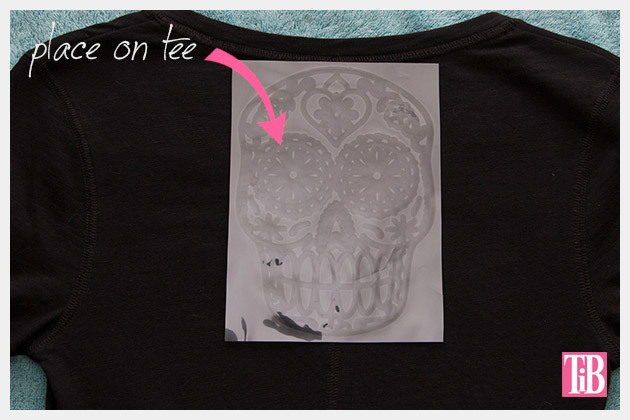 Follow the instructions on the applique to make sure you have the right side facing your dress. 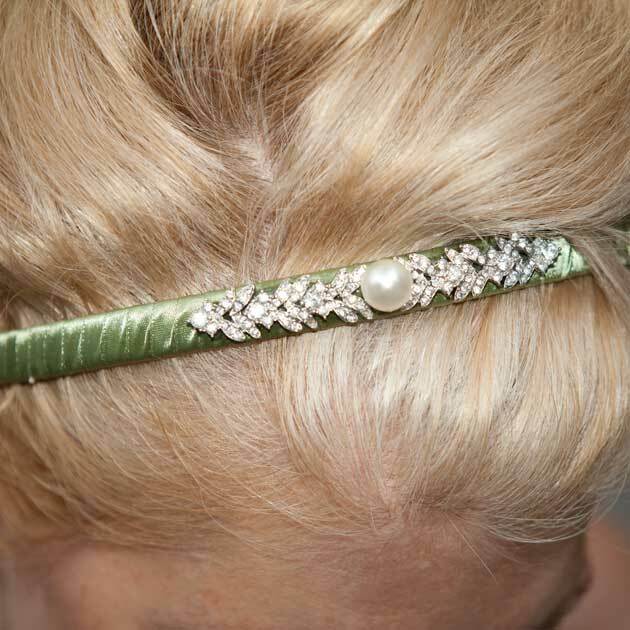 Place the applique onto your dress and cover it with a thin towel or cloth. Press firmly and keep the iron moving over your applique for a few minutes until the applique is fixed to the dress. 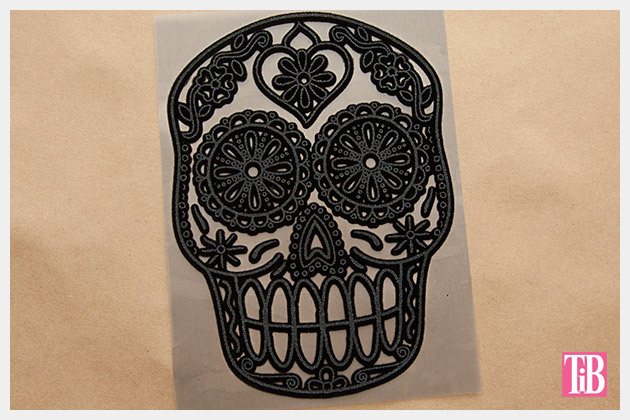 Peel away the backing to reveal the design. 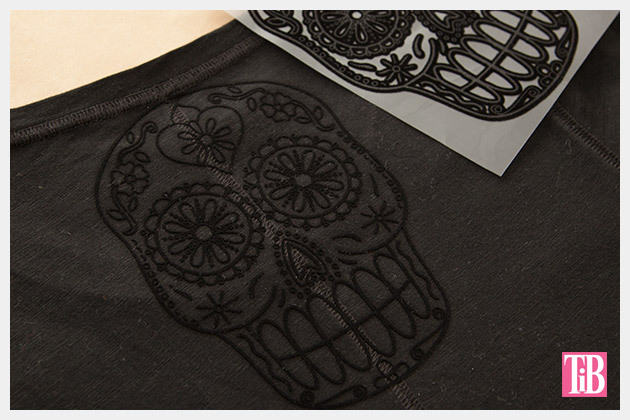 Note: the lines on the applique will be thinner on your dress than they look in the package. 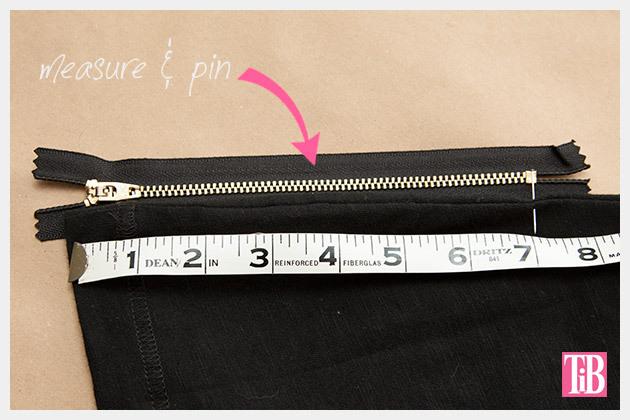 Measure your zippers next to your dress starting from the bottom of the dress. 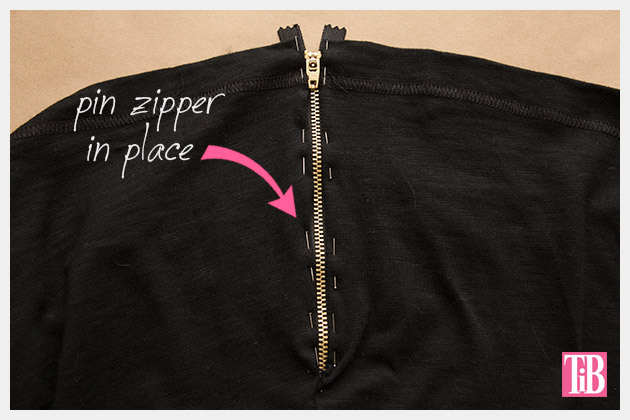 Put a pin in the seam where you want the zippers to end. 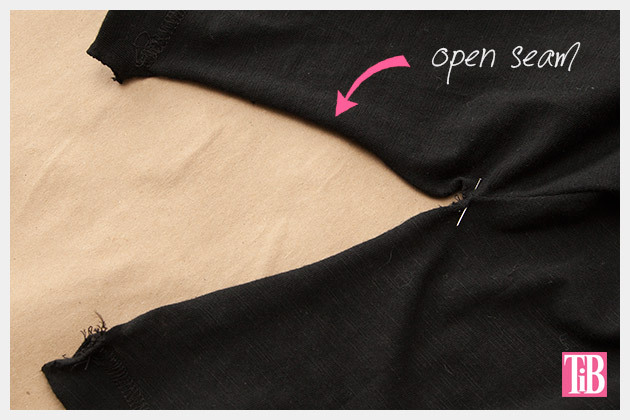 Using either your scissors or you seam ripper, open the side seams on your dress starting at the bottom hem. Pin your zippers in place. Using your sewing machine and a zipper foot, sew all the way around the zippers. 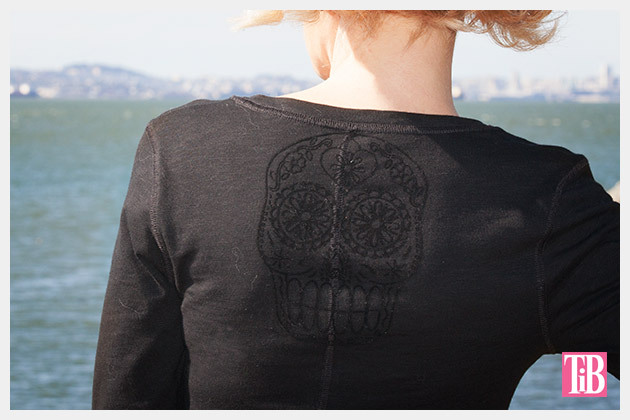 I really like the subtle look of the black flocked applique on the black dress. It’s a very subtle detail that really makes your tunic unique. The metal zippers add a touch of contrast and interest to a basic t-shirt dress. 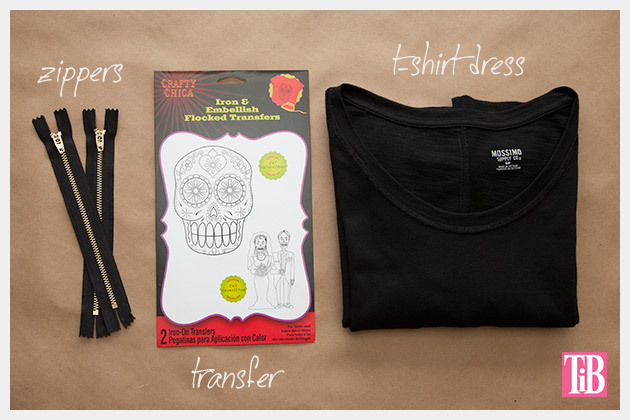 There you have it a quick and easy altered t-shirt that’s the perfect addition to your fall wardrobe. 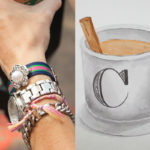 Leave me a comment and let me know how your’s turns out! Thanks Anne! Side zippers are awesome!